I was working with a CEO recently in his office. During the visit, a salesperson representing one of the CEO’s vendors poked her head into the office and said, “I want to talk to you. I’m pretty sure we can save you some money compared to your current vendor.” The CEO responded to the salesperson, “I’ll wait to see your proposal.” Can you see what just happened? In my research on how executives make decisions, we learned that price is a nice-to-have, not a gotta-have. Meaning, everyone would like to pay less than an alternative. However, despite what sellers might think, price is rarely the motivation for making a change. Let’s get back to the story about my CEO client. Since the seller solely focused on price, she taught her client to only focus on price. It turns out that each discussion the CEO and the seller had going forward about the vendor’s new offering focused on price. Ultimately, my CEO client decided to stay with his current provider. Saving a little money on the service the salesperson was trying to sell was not enough of a reason for the CEO to change vendors. The most common opponent to which business sellers lose deals is status quo. Getting a seller to consider alternatives requires research, strategy, and hard work. In contrast, selling on price is easy. Selling on price does not require advance preparation. Price does not require uncovering real motivation. However, price alone will not move a buyer from the inertia of their status quo. Selling on price is also, unfortunately, not very effective. Instead, you need to determine what factors might lead to a change for your potential customer. Sellers often complain that they don’t know which questions to ask to uncover if the customer is a good fit. Does the customer have a real need for what the seller has to offer? This wimpy attitude must be why rookie salespeople and professionals focus on price. Of course, once you bring up price, then your customer will focus on price. After all, you set the foundation for the discussion. If the restaurant management is starting to see negative reviews, complaints, or inconsistency in service, then they might need Red Book’s help. Red Book will help them with communication, hiring, staffing, and education to ensure the team can maximize time spent ensuring successful guest experiences. The general manager or regional manager for larger chains is most directly impacted. They are often the ones wasting many hours per week just juggling schedules, trying to impart training, and putting out fires. Red Book’s ideal clients are sick of stovepipe solutions in the restaurant industry. The managers struggle to maintain the right staffing, they cannot successfully police those checking in early for shifts or working unauthorized overtime hours. Their training is disjointed. None of their old systems allow their young staff to use tablets and smartphones to deal with scheduling or training. Doing so would be awesome. The restaurants want to be able to rely on a single vendor who has a best-of-breed platform to ensure all pieces will work together. Red Book’s clients see a tangible return on investment within the first month. The monthly licensing allows the restaurant to cancel at any time. However, a 90+% renewal rate proves that smart restaurants are realizing great value. When Red Book Connect speaks with a restaurant owner or manager, they don’t start with price. Instead, they ask great questions to determine if the restaurant is facing common trends similar to other restaurants. The salesperson and restaurant manager work together to determine if there is a good fit. If they both agree that Red Book Connect can help the restaurant, the owner or manager of the restaurant usually just wants to know how quickly then can start seeing the results. Price is never the real reason for change. Price matters most when the person doing the selling thinks price matters most. However, if you deliver subject matter expertise and ask the right questions, you’ll earn your customer’s respect, and sell based on value not price. 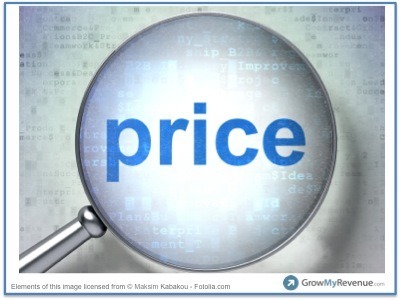 When have you made a purchase decision on value over price?